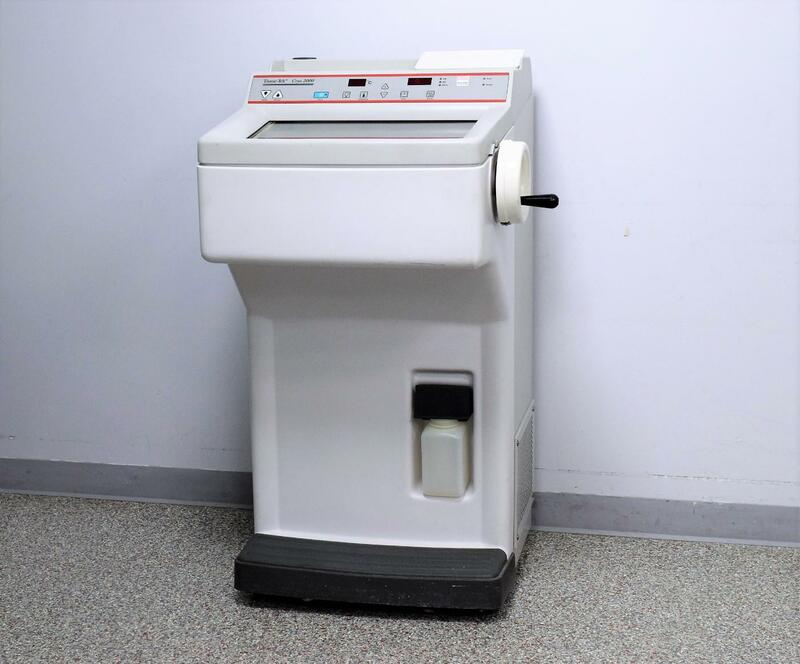 Sakura 4703C Tissue-Tek Cryo 2000 Cryostat Microtome for Histology . New Life Scientific, Inc.
a good unit to repair or pull parts from. We believe its weak compressor causes the cooling issues. system had a leak. After a pressure test, the leak was located and repaired. evacuations to rid it of moisture, then recharged the refrigerant. only able to cool to -8°C in the chamber and only -14°C on the cryobar. The peltier cooler on the cryboar is non-functional. Due to the above issues, we are selling this unit for its parts.